The Young Lords Project will memorialize the Young Lords Party members through creating the largest sitting portrait photographic collection in the world. The projects main goal is to create a Photo Essay Book and Video/Film Interview Installation to give us an opportunity to excavate the perspectives, historical memory and philosophies of the Young Lords Party members through Photography and Interviews. My hope is that this project will create introspection and discussion; connect unlikely collaborators; inspire civic and cultural participation; raise funds for the preservation of our history and human rights and cultural programs; and celebrate the unique fabric of being people of color and that of The Young Lords Party. Finally, this will be used to educate our future generations on how to start a movement for social change. The most important narrative is to gather insight and information on what activated YLP members to fight back, what were there thinking behind actions and what type of behaviors led to building of the movement for liberation. This project will have a strong focus on who they are as people, not purely on their recollections as young lords. Now as Elders, this project will call upon the individual and collective Wisdom of the YLP members and etch their memories and guidance onto the YLP Project Book and website. This is also the first project of its kind in which at least thirty (30) YLP members are honored through sitting portraits to be taken all in 6×9 medium format film. I want to create a space that democratizes and isolates the subject in each setting with a grey backdrop so that there is uniformity throughout each portrait for the series. I am shooting with high definition digital cameras as well as Medium Format 6×7 color and B&W film. 2. The Book: Creating the Narratives and fusing them in a Photography/Interview/Historical Book. This will be an art book, a photographic study, a cultural ethnography, a history book and in some ways a unique guide to the legacy of The Young Lords Party. My intentions are that this will also be a memorial of the movement and ideologies of the YLP members. Most importantly it is a tool for our people’s preservation. The book will focus on the above themes and lead each photo(s) with quotes from the answers to the above questions. 3. The Gallery Show. 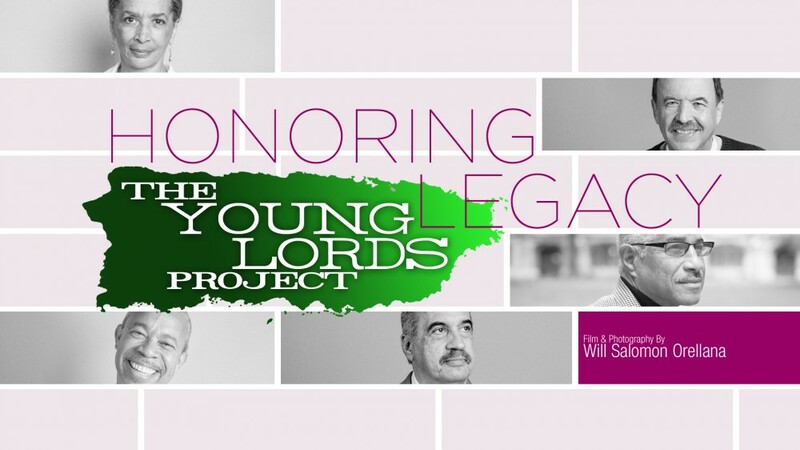 Have an official lunch to the project by honoring the Young Lords in a photographic exhibit. Date to be discussed. I will be working effortlessly to find a museum or university that will host and hopefully collect all of the portraits as a permanent exhibition. Truly inspiring project that projects your passion, love, and commitment to preserve our cultural background and initiate a movement. Great Job! Thank you Eric. That means a lot to me. Familia y cultura, siempre!